HOT PROPERTY IN LUCERNE VALLEY. INCREDIBLE VIEWS. This is a major fixer, with so much potential. 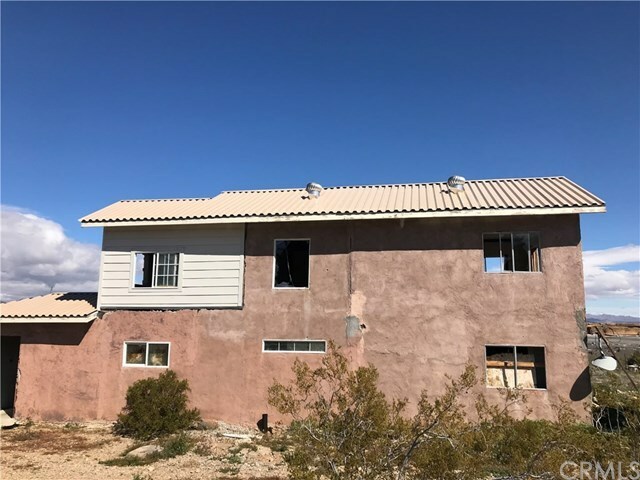 The property is a two story home that sits on 5 acres, has a new steel roof that was been power coated in a light beige color, some new electrical boxes have been installed which included a new electrical panel box. Electricity is not connected but the electric post is very close to the property. Must see to appreciate. Access to the the property is not too far off the paved road. Property is not habitable in it's current condition. Directions: HWY 18 East, to Custer right, go straight pass the Azurite and Custer, road splits stay to the right.